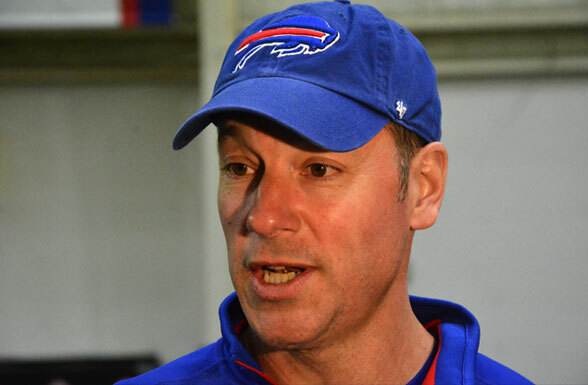 Bills offensive line coach Aaron Kromer has been placed on leave from the team, and today ESPN reports the details about the dates he will have to appear in court on the charge of battery. Bills OL coach Aaron Kromer is scheduled to appear in a Walton County, Florida court for an Aug. 12 plea date, a court clerk said Wednesday. Police are not releasing the age of the boy that Kromer is alleged to have punched in the face but a public information officer for the Walton County Sheriff’s Office said Wednesday that the boy was 5-foot-8 and 140 pounds. Kromer was listed at 6-foot-4 and 215 pounds when he was arrested Sunday. A judge Wednesday also approved a criminal summons against Kromer’s son, Zachary, for misdemeanor battery against another boy as part of the altercation early Sunday morning. Zachary Kromer will have to turn himself into police before a court date is set. According to a statement released Sunday by the Walton County sheriff’s office, Kromer and his son, Zachary, allegedly confronted three boys, who had been fishing on the beach, over the use of beach chairs. Kromer, 48, has been accused of pushing one of the boys to the ground and punching him in the face after throwing their fishing pole into the water. Kromer allegedly then ordered that the chairs be returned to where they were found and told the boy that he would kill his family if he reported him to the police, according to the statement. 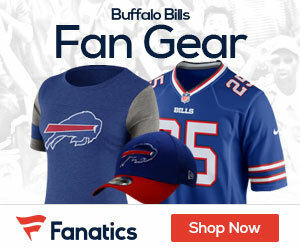 On Tuesday, the Bills placed offensive line coach Aaron Kromer on indefinite paid administrative leave.